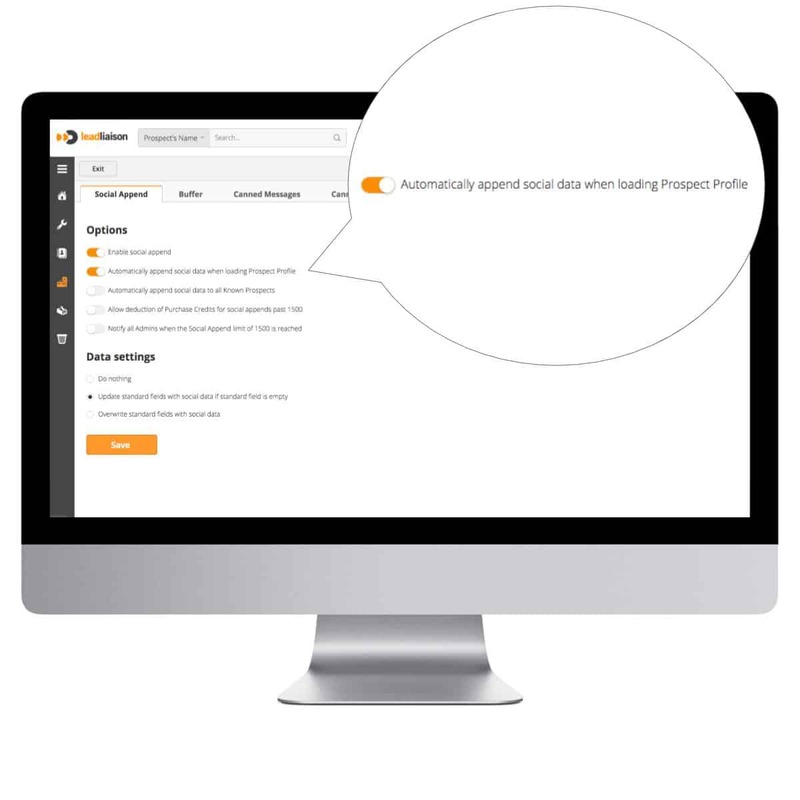 Lead Liaison uses data from over 110 social networks to append Prospect profiles with a rich set of social information. Social information can be used by sales to gain valuable insight on prospective buyers during the sales process. Marketing can use social data to better segment their database and target communications. 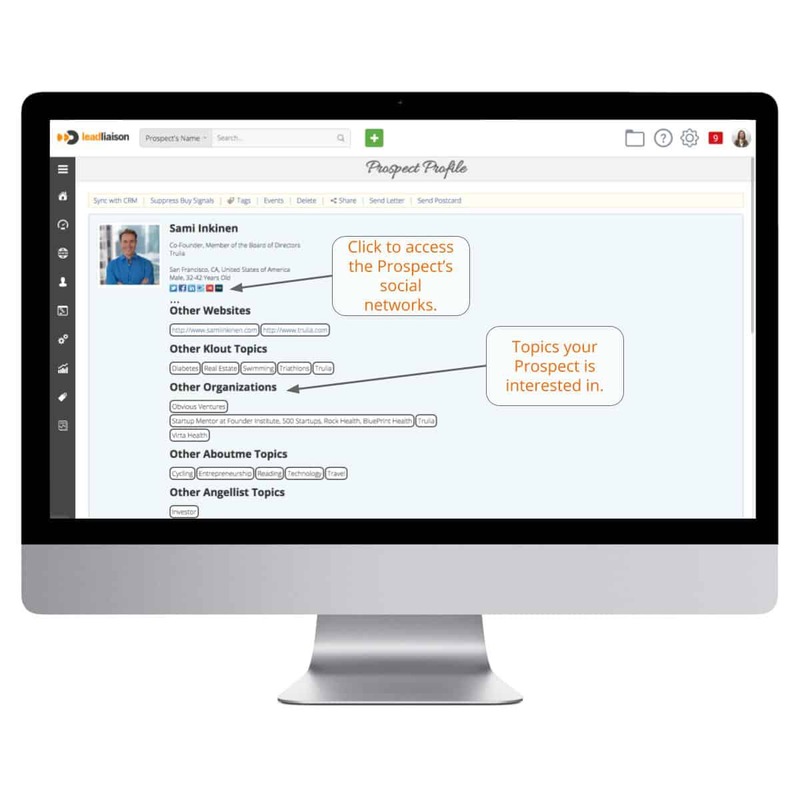 Lead Liaison uses a Prospect’s email address to search over 110 social networks, based on what’s been enabled, and adds the social intelligence to the Prospect’s Profile. As long as the settings are enabled by your Lead Liaison Admin, a person’s social profile will load while loading the Prospect Profile page. In addition to demographic and behavioral segmentation, Lead Liaison also supports social segmentation. 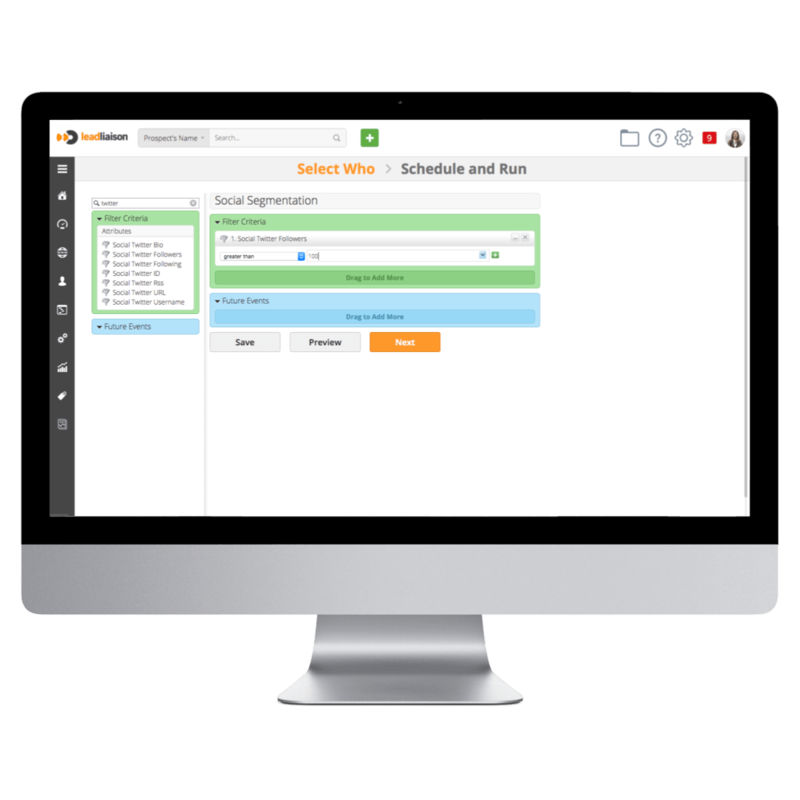 When building a segmentation, enter the social network into the search box to view an array of segmentation options for the given social network. When the Prospect Profile page is loaded after three (3) months from initial append.